Many visitors to Canada come in search of lush forests, majestic mountain peaks and aquamarine, glacial fed waters, their desire to experience wildlife and nature ignited and fuelled by the images produced and promoted by the tourism industry. Jasper and it’s little sister Banff, the face of the Canadian Rockies, are ground zero and host to the flood of tourists from near and afar. With so many attractions it’s no wonder they are among the most visited and photographed national parks in all of Canada. 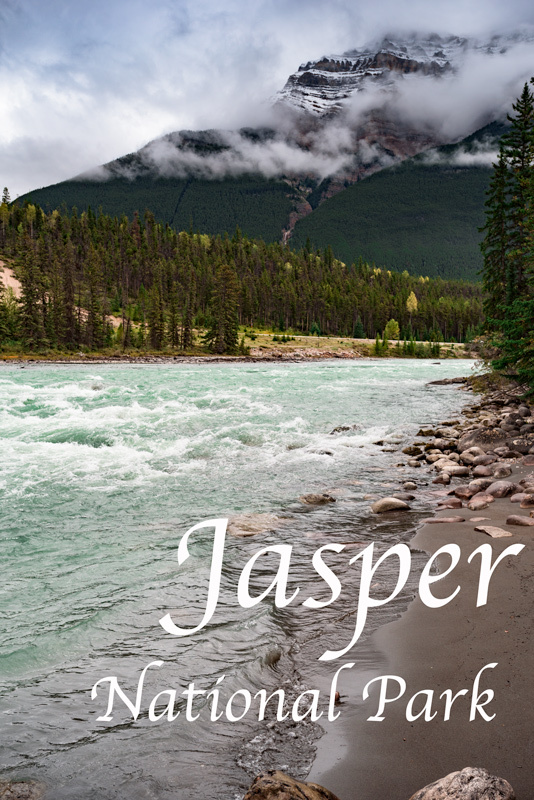 The epitome of this famous mountain range, Jasper has everything you are in search of when you head to western Canada. Alpine lakes and meadows, rugged, frontier wilderness and evidence throughout of an ancient power that created them. 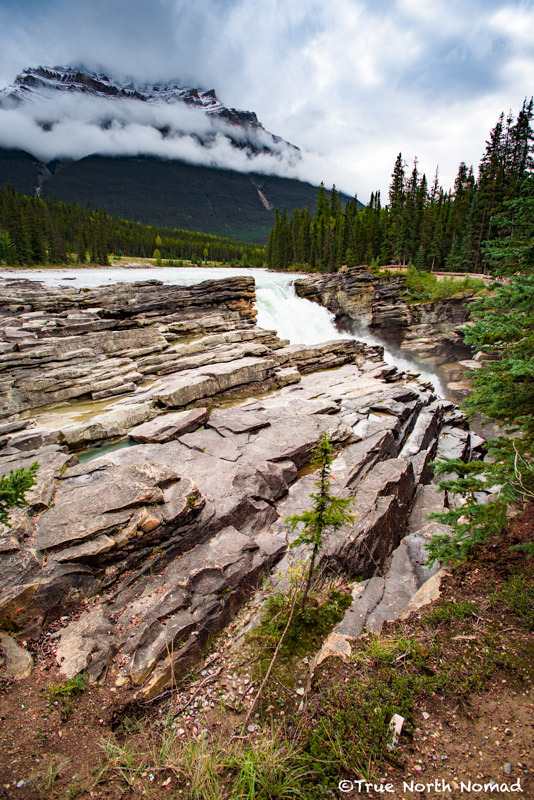 Read all about Jasper National Park here at Parks Canada. To attempt to promote the many sites to be seen, adventures to be thrilled and wilderness to explore in one post would be insufficient at best. So I thought it only fitting to highlight “points of interest”, in separate posts about the park in order to adequately represent this national treasure. This would allow me to tell the history, endorse it’s beauty, and suggest activities for the avid outdoorsman or adventure seeker – not to mention the multiple trip excuses to Jasper I could squeeze out of it (like I need excuses?). So in a feeble attempt to do Jasper any justice, here are two of many “points of interest” for your next visit to the park. 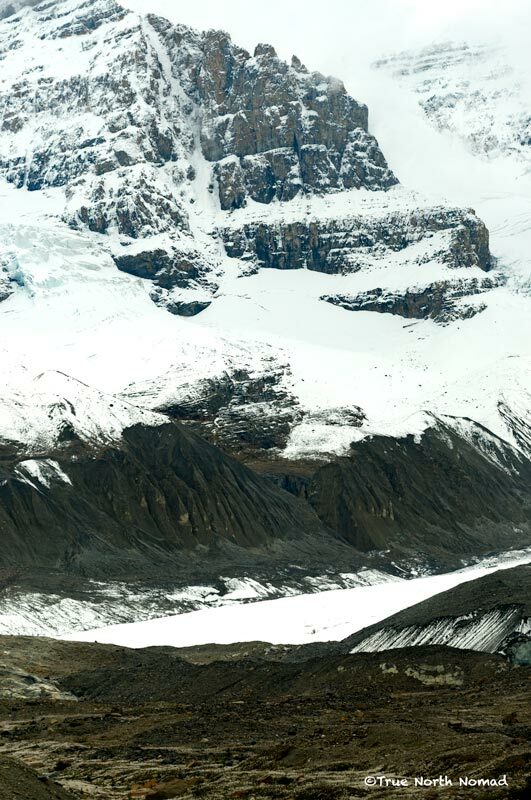 Located on the Columbia Icefields Parkway (south on highway 93 from Jasper townsite), Mount Athabasca and at its feet Athabasca Glacier sit between the boundary of where Jasper meets Banff. 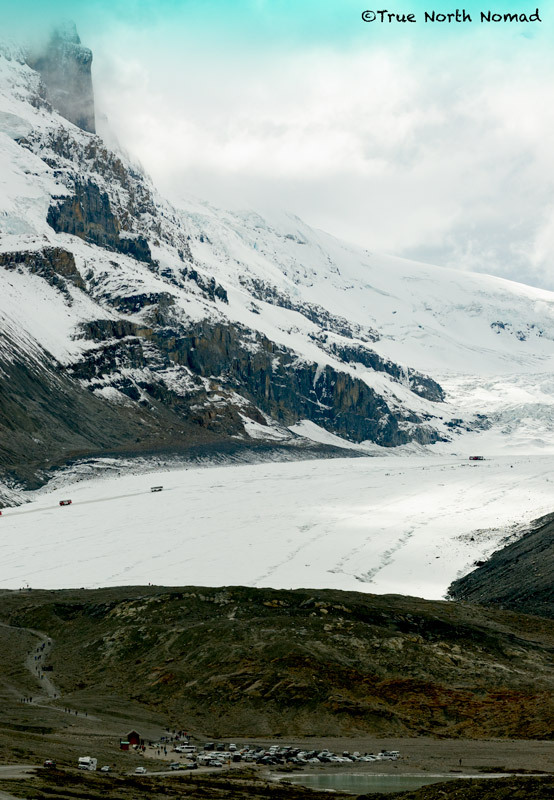 The Columbia Icefield Interpretive Centre is the hub of attractions, cafe and sit-down restaurant. 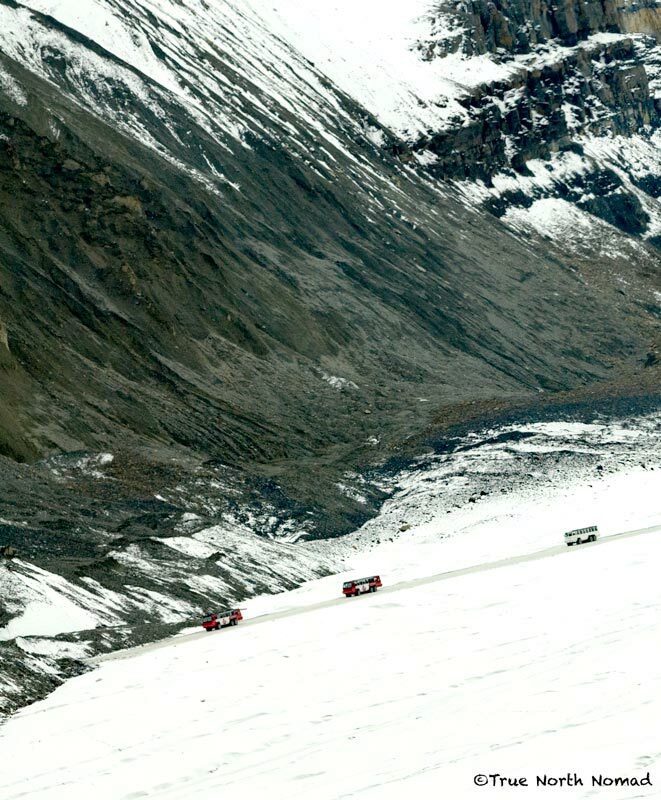 From this location you can take a ride on the giant glacier exploration purposed vehicle rightly named Ice Explorer, up and out onto the Athabasca glacier where you can get some up close pictures and take a walk on ancient ice. 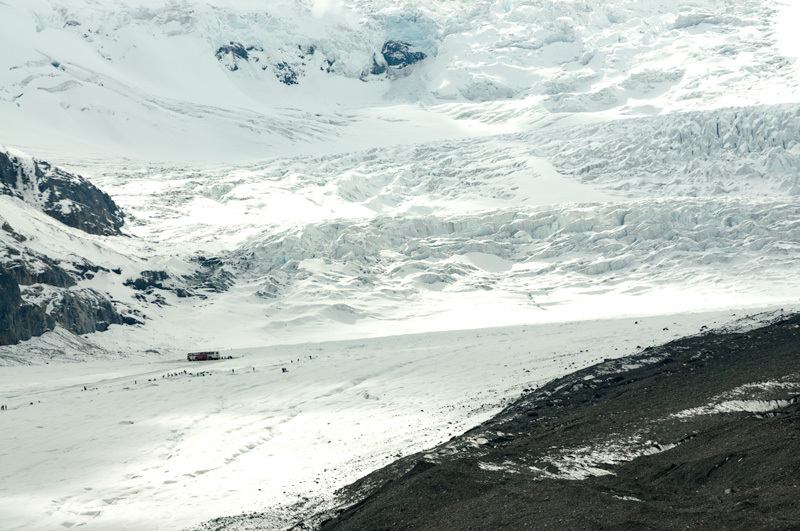 Or if it fits your fancy, take a bus to the Glacier Skywalk, described as an interpretive storytelling attraction with a glass-floored observation bridge, some 280 metres (918 feet) above glacier carved valleys. If your hard earned cash is burning a whole in your pocket then do both tours before grabbing a bite at the cafe. For those who would like a cheaper experience, you can walk up to the glacier or hike the many trails in and around the area. Grab a map at the visitor centre or at the park’s entrance posts in Banff or Jasper. 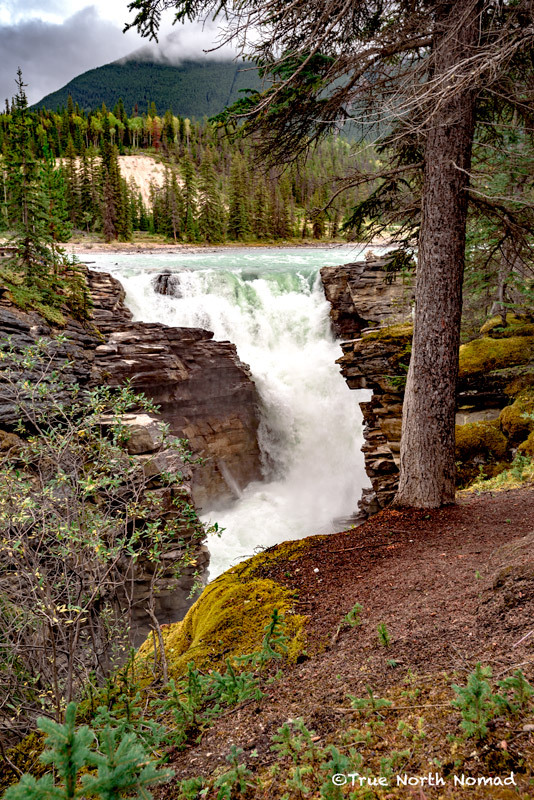 Located on the Athabasca River south of the Jasper townsite, this waterfall is a popular Jasper attraction. Expect sardine packed crowds during the summer months right up until the long weekend in September. Come early or late in the day if visiting during July and August and if possible plan your trip in Autumn, crowds will have died down and the Larch trees will have changed to a brilliant yellow. At 23m high and 18m wide, this waterfall is beautiful, fast and at times deadly. The water is cool and deep and many person has underestimated the slipperiness of the rocks or the speed of the rapids. Be safe and stay within the marked trails, lookouts and bridges. Stay tuned for more “point of interest” updates – when I get to endorse Jasper and push for one more trip to this fabulous park! Have you been to either “point of interest” in Jasper? What did you think of them? Go ahead, make my day – enter your email address top left, bottom right or bottom centre of this post and click “Follow” and never miss an impassioned tale again! Merci for visiting/liking 24/7 in France, author of “Solitary Desire-One Woman’s Journey to France” (video http://youtu.be/xG_YTa5sDac) & wishing you a bon weekend! Yep, I’ve been to both places several times and really enjoy your pics. 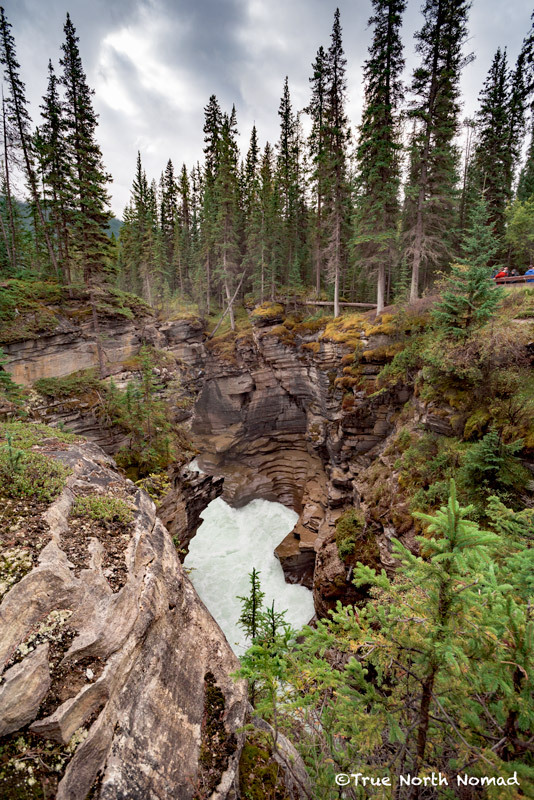 Another place (s) I like is Maligne Lake and the Maligne Canyon, east of Jasper townsite. The geology of Jasper area makes for phenomenal mountain scenes, with the great vertical cliffs where they’ve been sheared off by the glaciers. 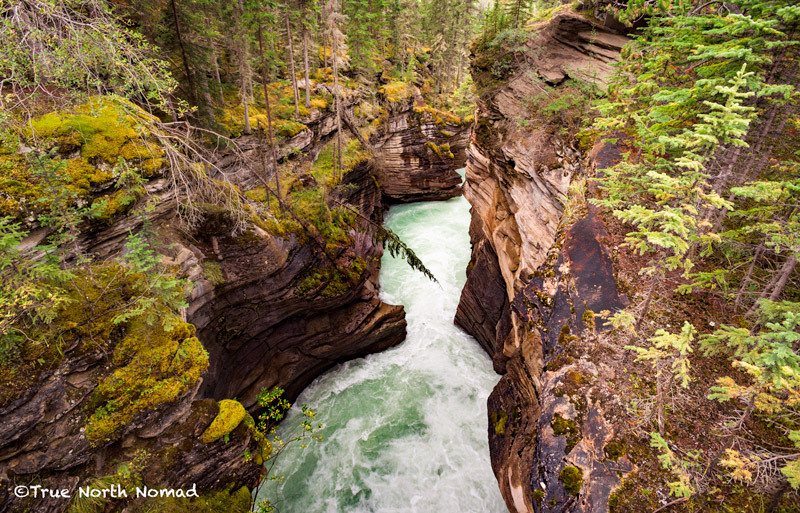 Yes both Maligne Lake and Canyon are beautiful – albeit very busy. The geology is what keeps me coming back – over and over! Thanks for stopping by! My mother grew up in Nordegg on the Saskatchewan River west of Rocky Mountain House. 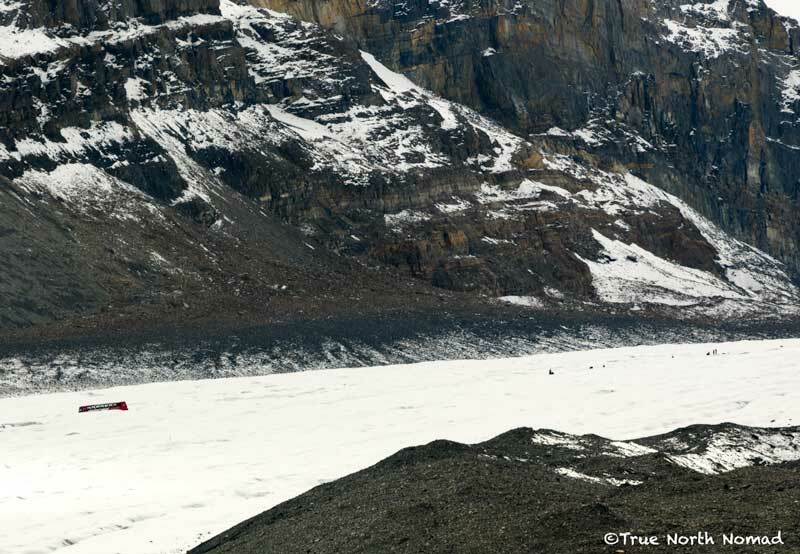 Her cousin’s grandfather, Tom Wilson, was the first European to see Lake Louise–when he was scouting for the CPR in the 1880s. One of my most favorite places in the world. Well written, beautifully photographed. When you’re there, you feel close to heaven. Thank you! Yes the mountains are most favourite place and I am in heaven while there! Beautiful pics. Definitely on my to do list. Wow! Great shots and experience.! Thank for dropping by my blog. Cheers. Gorgeous – definitely some of the places I know BF and I need to go! Have you done camping trips (in a camper)? We own a small 21′ Rpod and want to take it into Canada some time. Yes we’ve done camper, tent, yurt etc camping. There are many campgrounds within Jasper that have hookups for campers. I would recommend reserving one for any planned trip as it can get busy in the park in summer. You must be from the states. You shouldn’t have any issue bringing your camper into Canada. 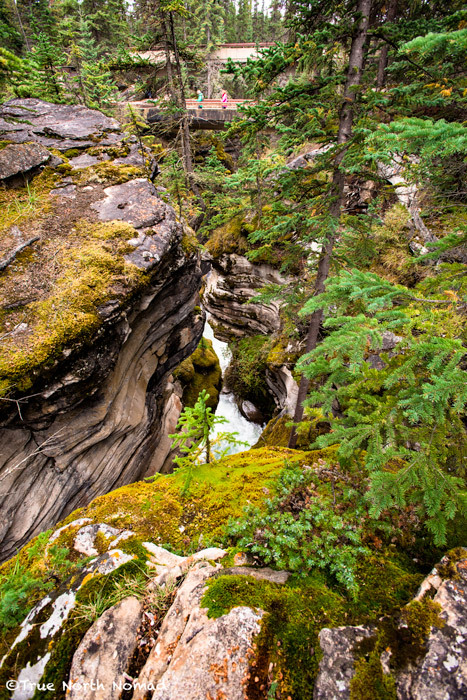 Definitely add Jasper as a destination to your list. It is a must see in Canada. Kiitos hienosta matkasta. Thank you for the great tour, the photos are great. Thank you – there is more to come for Jasper! Thanks for visiting – yes people take risks, all over the world and unfortunately the outcome becomes the dark tales of these beautiful locations! What a coincidence, I am heading there today! 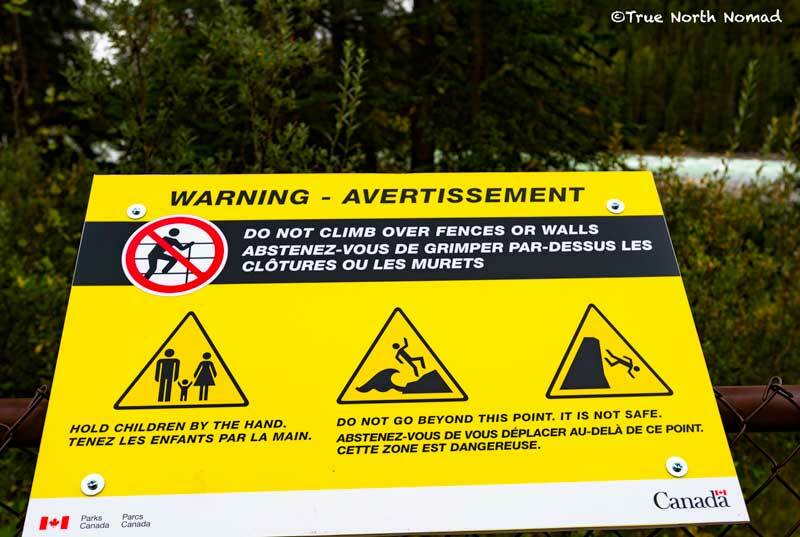 Athabasca Falls are gorgeous but the signs aren’t to be taken lightly… I have been there when someone went over the barriers and fell over the falls. It was tragic. If you haven’t already been, I suggest stopping by the Bear’s Paw bakery for a treat. Their scones are my favourite! Yeah people take to many chances and it costs them their life! I haven’t tried to scones Bear’s Paw but will do next time I’m out there. Enjoy your visit. Hopefully it won’t be too cold! Yes people take too many risks.